Russia’s drought may account for a 25 percent hike in U.S. wheat prices, said Dmitry Rylko, general director of the Institute of Agricultural Market Studies. Conversely, the U.S. drought may have caused a 50 percent rise in prices in Russia. 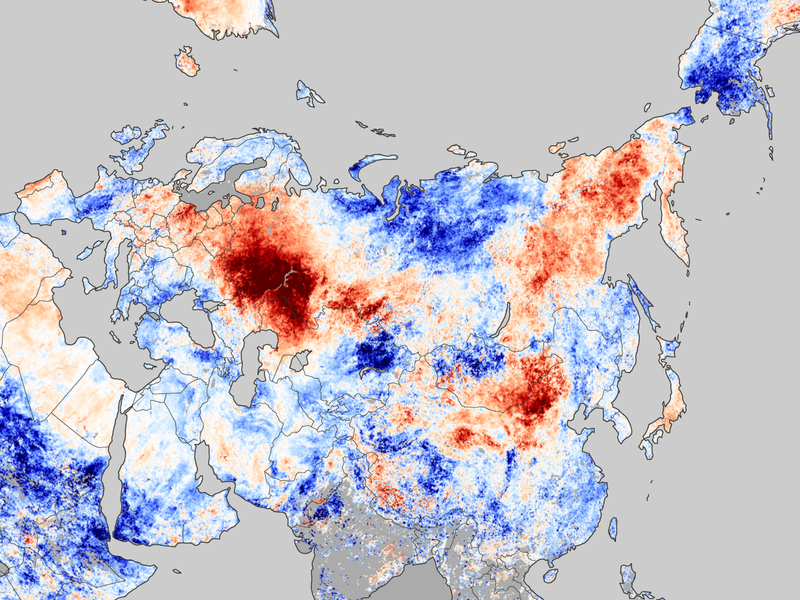 As we have highlighted previously, the heat wave and droughts in Russia and Central Asia that caused these recent rounds of crop failures, have been explicitly linked to climate change in two different peer-reviewed studies. And though it is still too early to judge, there are indications that this and last year’s punishing droughts in the U.S. may also have a climate change connection (NOAA and the Met Office determined that the 2011 drought in Texas was 20 times more likely because of climate change). The food security implications here are enormous, and worth keeping a close eye on. By Francesco Femia & Caitlin Werrell in climate and security on October 25, 2012 .